Simple, deep-tissue self massage tool. 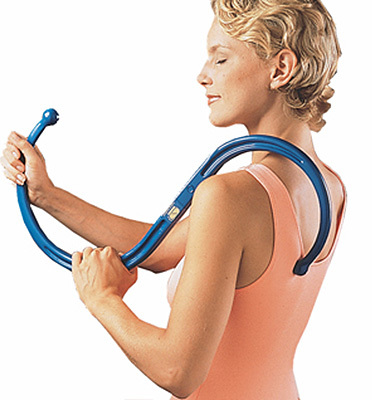 Ideal for hard to reach triggerpoints in the back & neck muscles. Self treatment of chronic muscle pain. Use for myofascial work, myo-therapy, shiatsu and acupressure. Unique "S" shape offers versatile positioning. 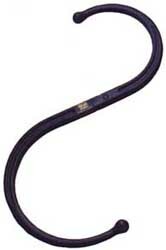 User can apply gentle or firm pain-releasing pressure. Snaps apart for storage and travel.